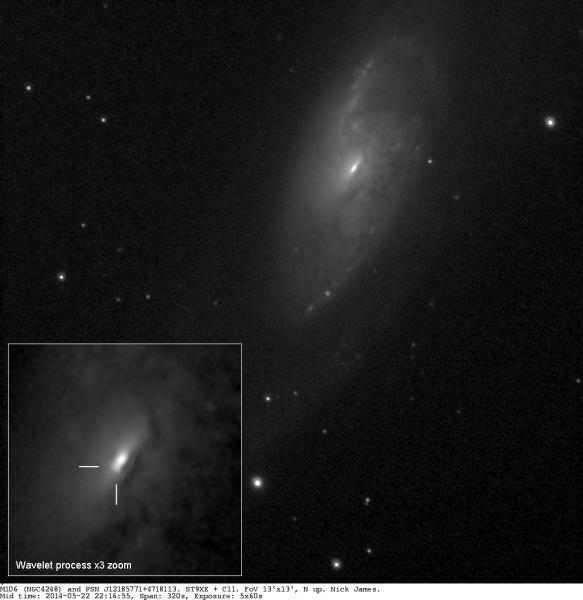 Details of the recent Supernova discovery in M106 (PSN J12185771+4718113) can now be found on the BAAVSS web pages. Here's an image from tonight. I assume the SN is the brightish thing around 3 arcsec SE of the core but it is difficult to separate it from the core and I don't have any comparison pics to check. This is confirmed as a SN, designation is SN 2014bc.